There is something to be said about a woman who can find revelation in scripture AND in hip hop lyrics; a woman whose essence lies somewhere between Proverbs 31 and Biggie’s definition of ‘style and grace’; the woman who Dre from the classic 2002 film Brown Sugar so eloquently described as being ‘the perfect verse over a tight beat’. This is the type of woman Nicci Page resonated as she described her G.L.O.W and Flow lifestyle brand. 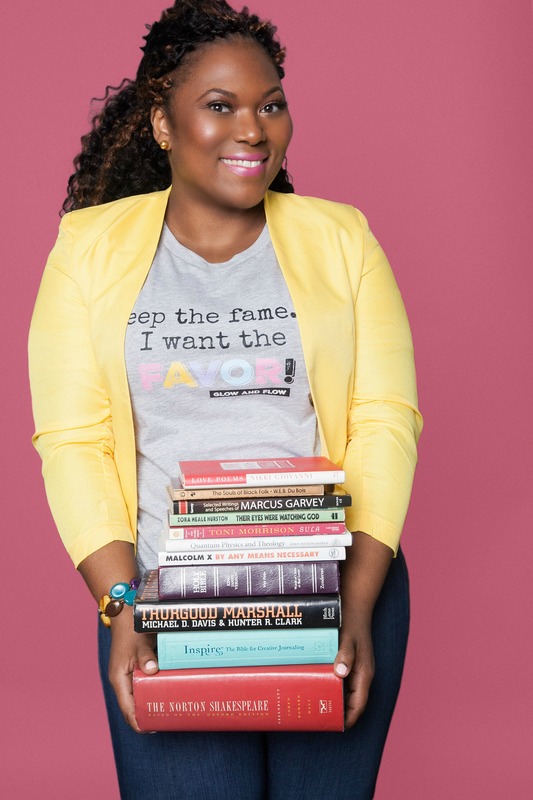 Nicci Page is the founder of G.L.O.W and Flow as well as a lawyer by trade. She’s managed to amplify the movement of modern women who appreciate and seek out the balance between faith and freedom to be who they are. 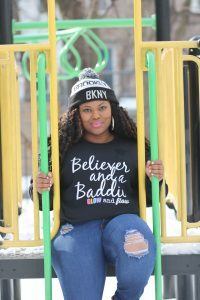 Coining hashtags like #BelieversAndBaddies and #BiblesAndBarz, Nicci is empowering millennial women to be about their culture and their Kingdom business while sustaining their Glow in the process. G.L.O.W and Flow faithfully offers original and authentic content that inspires, empowers, and entertains the modern woman of faith. Nicci shared some of her insights on glowing and flowing through life and business. 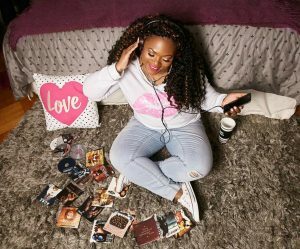 Q: G.L.O.W and Flow connects with the “modern” woman of faith. Can you tell us what separates the “modern” woman from the “traditional” woman of faith? A: The “modern” woman of faith is a woman who like myself – she travels; she’s been places and had experiences. She can quote scripture and is rooted in her faith, but if Remy Ma’s Conceited comes on, she’s going to spit every word. She listens to Tamela Mann and Remy Ma. Wherever she goes, she is approached differently because of the way that she carries herself. She knows that the goal is not perfection. She’s not ashamed to admit the mistakes that she’s made. But she’s always managed to . Q: So, we know that GLOW is an acronym for Gratitude, Love, Optimism, and Wisdom. Can you elaborate on what the “Flow” refers to? A: I like to take hip hop lyrics and I approach them from a biblical perspective. The “Flow” is in reference to your flow, like when you rhyme. It’s also a reference to the flow of life. In life there will be ups, downs, peaks, and valleys; but the water of life still flows. You have to find the faith no matter where you find yourself. So, it’s kind of a dual reference to the flow of a rhyme but also the flow of life. Q: What would you say to the woman who is currently working in the corporate world or maybe working in a trade like yourself, but knows that her heart is telling her to go a more creative route? What advice would you give her on making that transition successful? A: If there is something creative that is your talent and your gift and your passion, then that is what you were put here to do. Which means if you are grateful for that gift and commit to using it, the Bible says that your gifts will open doors for you and put you in front of great things. And listen, I get it. I have student loans too. I know that Sallie Mae is a gangster; she comes for my bag every month. So I get that you can’t up and quit your job. However, what you are doing on the weekends? Can you carve out an hour each evening or 2 hours on Sunday to pursue your creative gift? What are you doing to push that gift forward? Do what you need to do to get your gift in front of people and you’ll see that the more you use it, the more people will be drawn to it. Doors will start to open. What I’ve found in G.L.O.W and Flow is that once you turn your light on, people will be attracted to it. People want to be near your light. It provides warmth in this cold, dark world. So, I would say to those women to just start and keep going, because when you work, God works. Q: Can you give us a practical habit that women can incorporate in their everyday lives that align with each of the principles that G.L.O.W stands for? A: For Gratitude, I would say to get in the habit of expressing gratitude each morning when you first wake up, no matter what you’re waking up to. For Love, make it a habit of doing something to love yourself every day. Take a few minutes to just spend time with yourself without your phone or any other distractions. Maybe just pour a cup of tea and sit quietly for 10 minutes. Spend time with and love on yourself. For Optimism – make it a habit to always find the lesson, even in the dark places. Find the lesson that you’re supposed to learn in everything you go through because it’s not happening for no reason. Be optimistic about the opportunity to gain another life lesson. For Wisdom – make it a habit to read the word of God. Pull out your Bible for a few moments and feed yourself that wisdom each day. It is so applicable to everything you’re going through. Spend a little time in God’s word each day and you’ll never be short of wisdom. Even if you’ve read it before, read it again. I guarantee you that you’ll get something new from it every time! 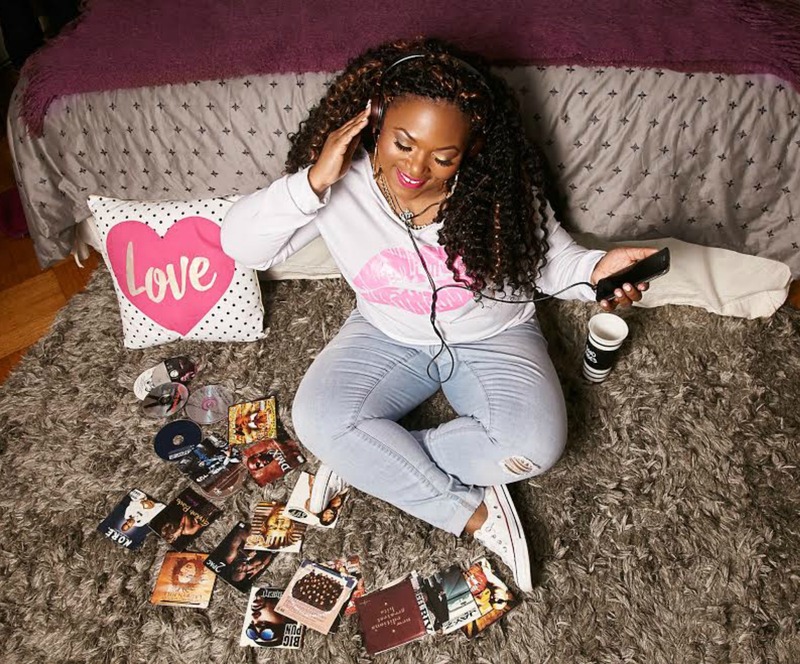 You can keep up with Nicci Page and her super dope G.L.O.W and Flow brand by checking out her blogs on her website, tuning into her YouTube channel and connecting with her on social media! 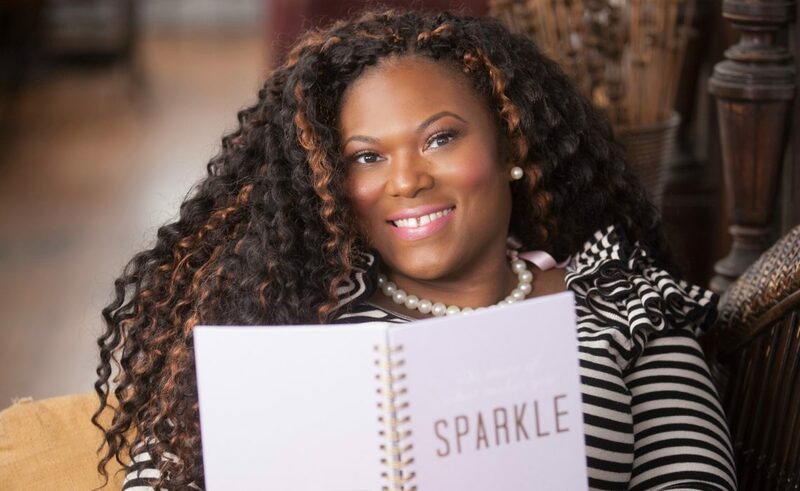 Rosalyn Harris is a ghostwriter and editor at R.T. Harris Publishing House which produces high quality literary content and services for authors, entrepreneurs, small businesses and corporations. Visit www.rosalynharris.com to learn more.